After attending USC graduate school in film, Denise David Williams’ first job in the Hollywood was working on E.T. and Raiders of the Lost Ark. Ms. Williams served as a Story Editor and Director of Creative Affairs at several companies including 20th Century Fox, IndieProd and Arkoff International, where she worked with some of the best writers and directors in Hollywood. Ms. Williams was Vice President of Kopelson Entertainment when the company produced “Platoon”, which won an Academy Award for Best Picture. Variety called “Charming!” and Universal chief Ron Meyer and David Geffen called “brilliant”. 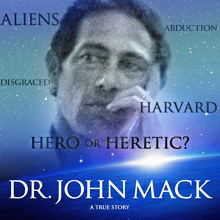 Ms. Williams and MakeMagic Productions were granted Life Rights by the Mack family to make a major motion picture about Dr. John Mack, the esteemed Harvard Psychiatry professor and Pulitzer Prize-winning author whose work with alien abductees caused a headline-making battle with Harvard and cost him nearly everything. Another project, A Good American, the autobiographical story of a family torn apart by religious conflict, was originally sold and developed as a film, and is currently being adapted for stage.